H.E. 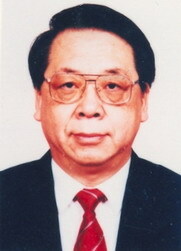 Mr. Ma Zhengang, born in November 1940; Native of Shandong Province of China; University Graduate. 1965-1967 Study in the United Kingdom. 1970-1974 Staff Member and then Attaché, Embassy of the People's Republic of China in Yugoslavia. 1990-1991 Counsellor, Embassy of the People's Republic of China in the United States of America.